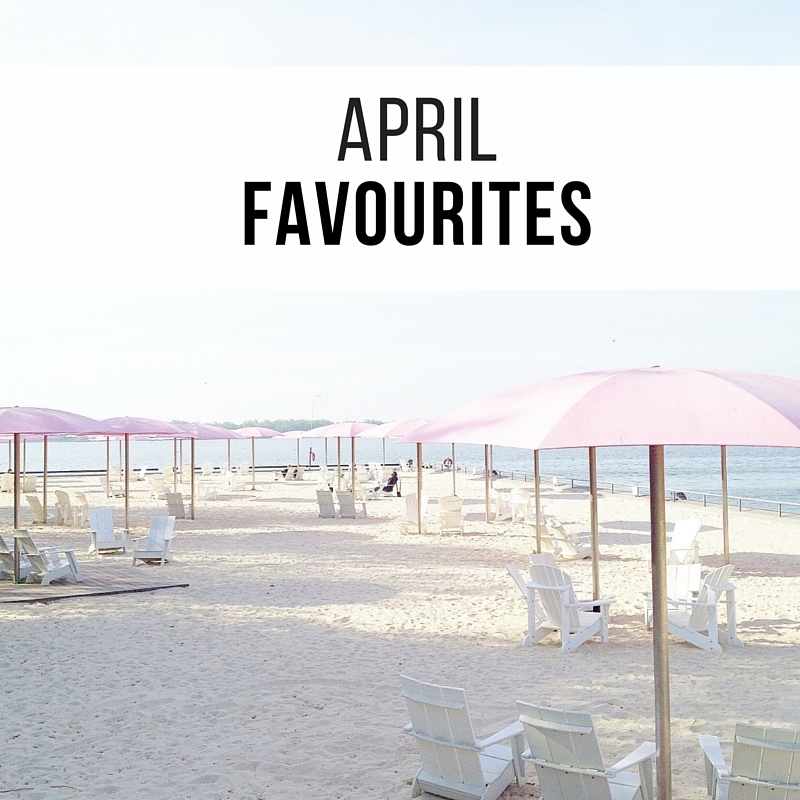 April Favourites | La Petite Noob | A Toronto-Based Fashion and Lifestyle Blog. I know that I must say this every month, but I truly cannot believe how quickly April has flown by. Typical to a Canadian spring, April has been a mix of sunshine, warm weather, hail, rail and even snow - who can keep up? Thankfully the strange weather didn't dampen the month, and I'm happy to report that there's quite a few new finds for the month of April. You guys - my feet have seen the light. After week days of trotting around the city in heels, my need a break come the weekend. Enter the Sanuk Yoga Sling - made from recycled yoga mats, these babies are quite honestly the most comfortable sandals that I've ever owned. I appreciate how secure your foot is, which is great for my back, and the material on the sandal is so soft. I wore the yoga slings for an entire day when they first arrived without one blister - a small miracle for me! The yoga slings are now my go-to weekend sandal, and my mom has even picked up a pair for herself. If you're in the market for an ultra comfortable footwear option with a lot of variety (they come in a ton of different colours and prints), definitely check out the Sanuk Yoga Sling. If you guys follow me on Snapchat (username: lapetitenoob) you would have seen that I had attended the most beautiful high tea hosted by Sabrina of Miaou, a place to find gorgeously curated collection of vintage goodies and beautiful designs. I have always loved the idea of vintage shopping, but don't possess the patience that it takes to sift through piles of stuff to find a treasure. Sabrina has an eye for those treasures, and thanks to her I was able to purchase the sweetest vintage ring with no work on my end! If you're looking to get into vintage finds, but don't know where to start then definitely check out Miaou vintage. Let me just start off by saying that I have never been one for nail art. When my mom and I went for manicures at Sekai Beauty Bar (on the recommendation of Gabriella of Pastels and Pastries) I had every intention of getting a basic gel mani, but left with something completely unique and special. The girls at Sekai were so incredibly welcoming and the cool evil eye nail art is so incredible that I think I may be hooked! After months of trying to find a great nail salon that not only is beautiful and clean, but also easy on the wallet, I'm happy to have found Sekai. Also - note the ring on my middle finger? That's my Miaou score! Wow. 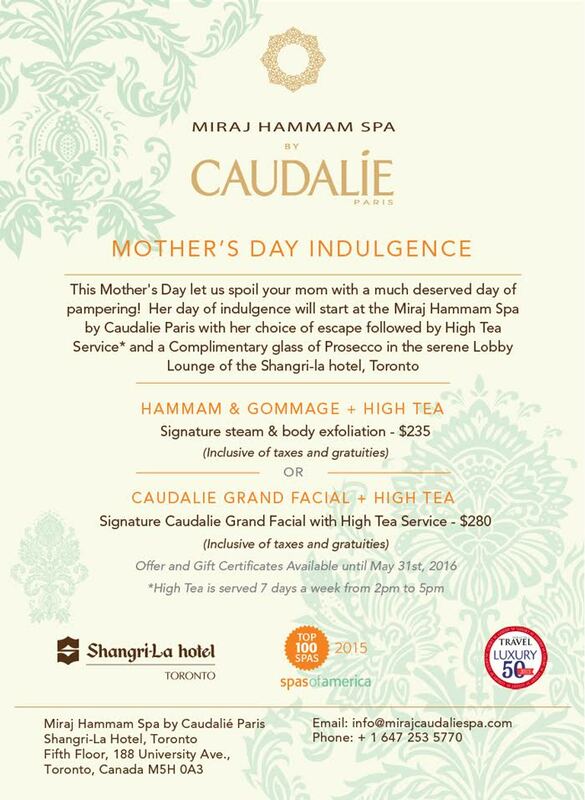 That's the only word that consistently comes to mind when I think about my experience at the Miraj Hammam Spa by Caudalíe, in Toronto's Shangri-La hotel. From first entrance, down to the warm farewells I received on my way out the entire experience was luxury at its finest. I tried the Caudalie Grand Facial and can honestly say, as someone who typically does not like facials, the experience was phenomenal. Not only did my aesthetician take all of my concerns about having sensitive skin seriously, she was also so gentle. The experience was a wonderful mix between skin treatment and relaxing massage so by the time it was over my face was plump and glowing, and I was uber relaxed - so relaxed that I fell asleep in the relaxation room after my treatment! After waking up from my nap, I was offered chai tea and a pistachio baklava and was so content that I felt like I was floating on my way out. 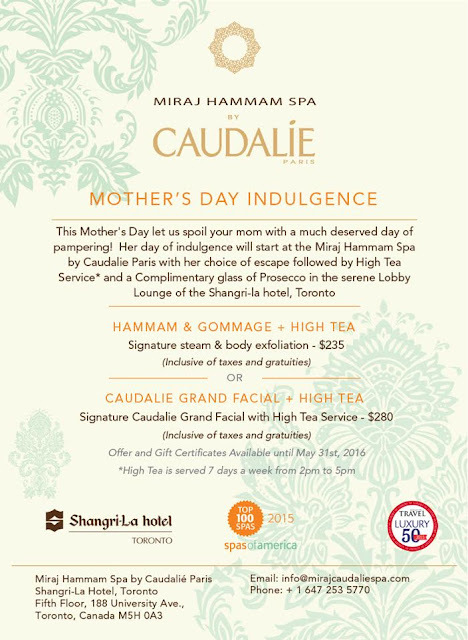 For those of you looking for a luxurious treat in the city, I definitely recommend the Miraj Hammam Spa - plus they have some amazing specials going on for Mother's day so why not gift this experience to mom? I know that this is an April wrap up, but I couldn't not tell you about an incredible Cinco de Mayo celebration. One of my favourite restaurants in Toronto, Valdez will be serving up latin tapas, live music and lots and lots of tequila in celebration of Cinco de Mayo. My snapchat fam knows how much I love a celebration (does anyone else remember the night myself and a couple of bloggers tore of up the city in sombreros?) Tickets are going fast, so definitely pick yours up now to make sure that you're part of the action! See you there! What do you guys think? What did you love for the month of April? Do you love a night fuelled by tequila and sombreros like I do? Let me know! Dying over your nails, they are so cute! Thanks Kierra! I'm not typically one for nail art, but I think that I'm hooked! LOL but Drake is a favourite every minute of every month!